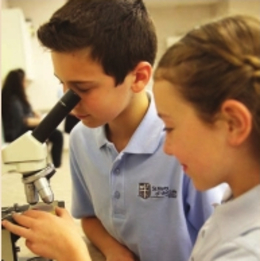 St. Mary of the Lakes Catholic School provides high-quality education in a warm, family environment for children of all backgrounds. AS PARENTS WE ARE constantly faced with important choices regarding the well-being of our children. Sometimes these are rather stress-free—like what to pack for lunch or what time to tuck the little ones into bed. Others undoubtedly have a lasting impact on our kids’ futu re, perhaps none more so than selecting the right school for their education. Like many other parents in their position, Laura and Marc Campanaro fretted over the decision when their oldest son Vincent started kindergarten. Unhappy with the initial school they chose, they soon found St. Mary of the Lakes Catholic School in Medford and everything changed. “His first school was not a good fit, but as soon a s we moved over to St. Mary’s, Vincent thrived,” Laura Campanaro says. “I think it was meant to be. I often say it’s the best thing that ever happened to our family. Originally founded in 1954 as St. Joseph’s School, St. Mary of the Lakes (SML) has been having a positive influence on South J ersey families for more than 60 years. From pre-K through eighth grade, students learn to embrace the values that Jesus taught, and the small class sizes create a meaningful bond with teachers that is hard to find elsewhere. Combined with that fa mily atmosphere is a top-notch academic program that includes an advanced science curriculum. 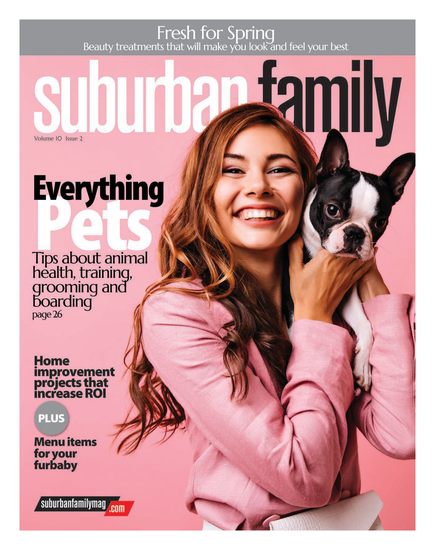 SML also has one of the premier basketball programs in Burlington County along with other competitive athletic teams; a drama club and spring musical; a Vets in Training program th at teaches students how to care for animals; and service clubs that allow students to give back to the community. “We try to engage the s tudents in all the different ways they can grow: academically, athletically, spiritually and in service to others,” Rash says. Not to be overlooked are SML’s focus on STEM-related programs and the wide array of technological resources that students have access to. Their state-of-the-art technology lab is equipped with Mac computers and multiple mobile carts containing Chromebooks, laptops and iPads which are available for use throughout the school. The classrooms also have their own dedicated technology resources. Children learn computer coding starting at a young age, and a robotics club is one of the most popular after- school programs. The school also has a fully functional television station with brand-new cameras, a teleprompter and other modern equipment. The students themselves put together news segme nts—including filming, writing scripts and attending events for on-the-spot interviews— that are broadcast to the entire school every mo rning. “It’s really a professional broadcast and it highlights the skills and the talents of our students in that field,” Rash says. “They have so much fun and it allows them to take a risk, try something new and see what they’re capable of. That’s what we want for them in their education—not only the traditional learning that goes on in the classroom, but challenging themselves and trying new things.” Campanaro appreciates the broad range of educational and social options that SML offers. Vincent, who will be heading into eighth grade in the fall, and her younger son Nicholas, who will be entering sixth grade, are prime examples of how kids can benefit. “My children have completely different personalities,” she says. “My younger son is a lot more social and he loves sports. He’s been a Laker since third grade, playing on the basketball team. It gives him a great sense of pride and he has so much school spirit. SML truly seems to have something for everyone. Although it is a Catholic school, children of all faiths are welcome and encouraged to attend. And with onsite staff from Burlington County Special Servic es, it provides occupational and speech therapy, help in basic skills and other aid for children with learning disorders. smlschool.org. Those interested in the pre-K and kindergarten classes can attend a storybook event on July 26 from 10-11 a.m. to learn more about the programs and introduce their children to the classroom. Finally, the school will be hosting a carnival at the end of this month from June 26-30 with amusement rides, carnival games, a beer garden, live entertainment and more.